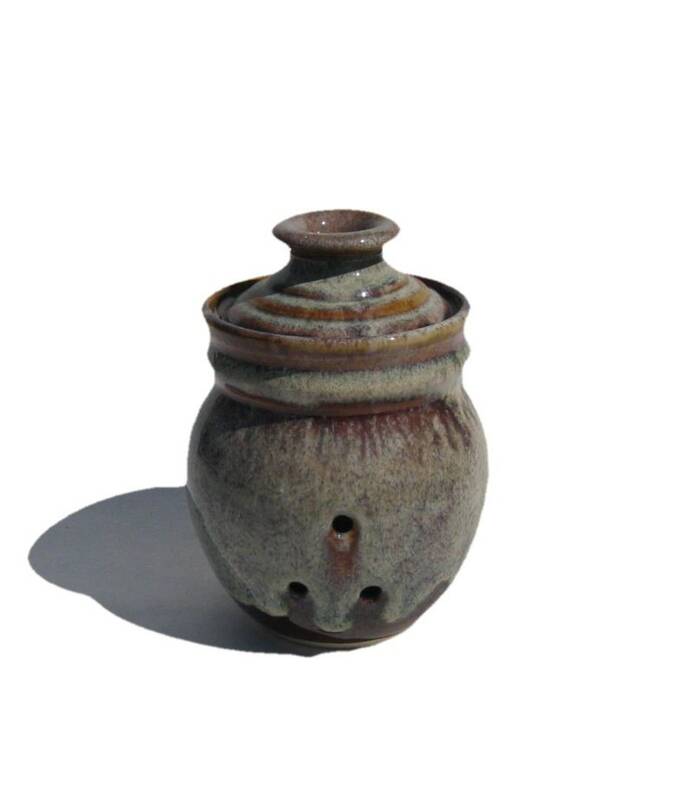 Hand thrown garlic keeper by R. L. Rising of Pensacola, Florida. Approximately 6 inches tall. The color shown here is called Coffee Latte. 3 sets of 3 holes on the side provide good ventilation for the garlic --yet keep the garlic in the dark. Fired to 2350F., footed and signed 'Rising' on the bottom. I woke up from a nap and lo and behold, my garlic house was on my doorstep. It makes me smile. It's magical.